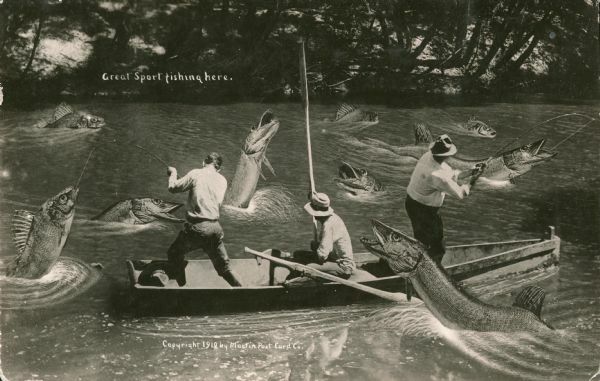 Photomontage of three fishermen in a rowboat, seen from behind, trying to reel in giant fish. A shadowy forest is visible on the opposite side of the river. One of the fish appears to be jumping at the oarsman in the center. Small white text superimposed just above the shoreline reads, "Great Sport fishing here."